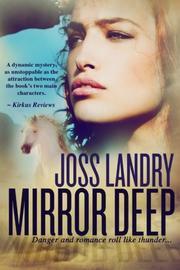 In Landry’s debut romantic mystery, a young woman learns a shocking and potentially dangerous truth about her past. Kat Bonner’s peaceful life on her family’s ranch is turned upside down when a seedy stranger visits and drops a bombshell: Kat is adopted, and her biological mother recently died. Soon the death toll climbs, and Kat’s complex journey to discover her origins lands her in the midst of a murder investigation—and makes her a potential next target. Kat travels a dangerous road toward the truth while adjusting to her shifting relationship with her handsome ex-second-cousin Pierce. Landry does a thorough, successful job of blending mystery and romance. As a mystery, the pacing is quite steady; some new truth is always lurking around the next corner, and readers likely won’t expect many of the plot twists. The romance feels natural as well, as Kat and Pierce transition from “relatives” to lovers. The fact that they were only second cousins may make the change easier for readers to accept; even before Kat’s origins are revealed, she and Pierce already have a considerable amount of chemistry. Indeed, from the first page, it’s revealed that Pierce has a particular way of getting Kat “riled.” Kat’s hesitation about their relationship, in spite of her undeniable attraction to Pierce, adds believability. Throughout, the author delivers well-developed characters; each major player in the story has his or her fair share of flaws—Kat, for example, is stubborn and reckless—which adds dimension to the story. A dynamic mystery, as unstoppable as the attraction between the book’s two main characters.